Large enterprises often contract service providers for WAN connectivity services that require certain performance guarantees to support mission-critical applications, such as financial transactions, video conferencing and real-time file sharing over leased Ethernet circuits. As service providers do not always offer committed service level agreements (SLAs) for circuit quality and reliability, organizations across a wide range of industries, including utilities, healthcare, insurance, and finance, must be able to independently measure the quality of their communication links, to ensure it hasn’t degraded – a risk that may adversely affect their operations, lead to loss revenues and increase the workload in the enterprise’s IT department. In cases where the service provider does commit to an SLA, a performance monitoring solution will help the enterprise claim the penalty fees it is entitled to under the agreement, if and when such degradations occur. 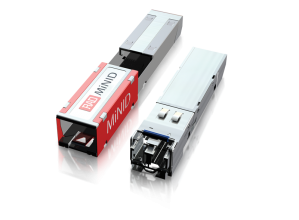 MiNID, RAD’s unique field-programmable Layer2/Layer 3 service assurance probe, is available as an SFP sleeve and in a standalone enclosure that can also act as coper/fiber media converter. As an SFP-sleeve probe, it plugs into SFP ports of network switches and routers to measure and report real-time network and service performance. 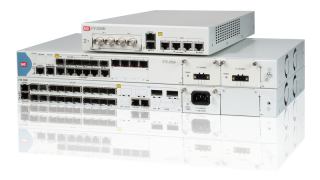 ETX-2 is an actuator for performance management and statistics collection of SLA-based Ethernet and IP business services. As a central site solution, it ensures true cost/performance optimization with a variety of form factors, capacity options, interfaces, functionalities, and enclosure types. RADView - Performance Monitoring Portal enables real-time and ongoing monitoring of Ethernet and IP service performance by collecting KPI (key performance indicator) data from the other RAD devices that comprise the solution. It contrasts that data with SLA guarantees - a critical component of premium MEFbased carrier services to enterprises. Together, these devices allow the enterprise to verify the service performance which they pay for, identify SLA violations to collect penalties and renegotiate their service package to improve QoE (Quality of Experience) and/or price.